30 stimulating interactive whiteboard starter activities for the whole-class. Embed mathematical learning with opportunities to listen, speak and think about maths. 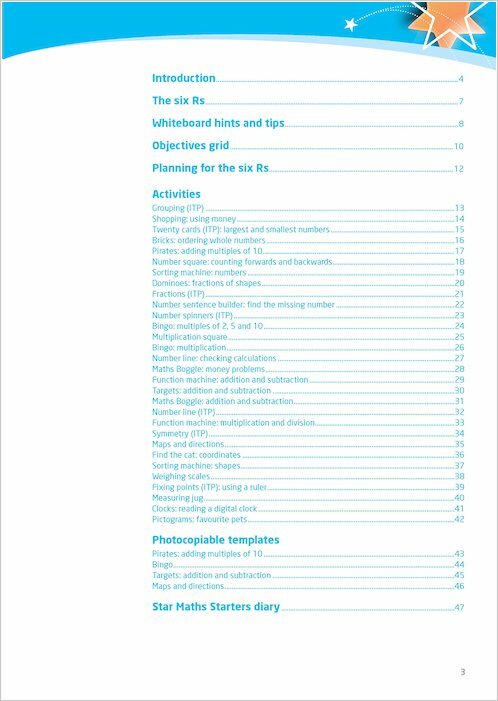 Covers the strands and objectives of the Renewed Framework for Maths. Interactive resources can be used on every interactive whiteboard. Open ended actvities allow for use over several sessions. Julie Cogill worked for many years as an educational advisor for BBC Schools. She is currently working on a PHD covering the effective use of interactive whiteboards in schools. 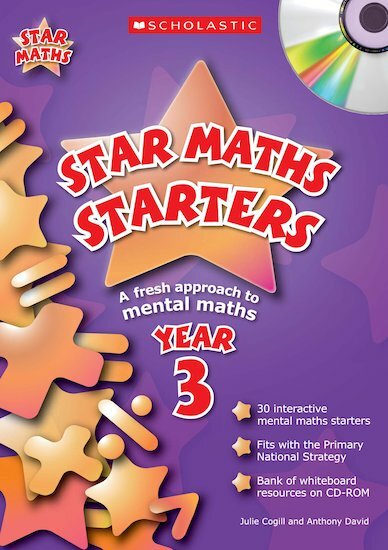 What are the minimum system requirements for the Star Maths CDs? You will need a PC or Mac with a CD-ROM drive. We recommend that you have at least 512MB RAM. On a PC you need to be running Windows 98SE or above and on a Mac at least OSX6 or above. The minimum processor speed you will need is 1GHz. You will also need facilities for printing.